Jim Baggott presents a celebration of this wonderful yet wholly disconcerting theory, with a history told in forty episodes. Almost everything we think we know about the nature of our world comes from one theory of physics. This theory was discovered and refined in the first thirty years of the twentieth century and went on to become quite simply the most successful theory of physics ever devised. Its concepts underpin much of the twenty-first century technology that we have learned to take for granted. But its success has come at a price, for it has at the same time completely undermined our ability to make sense of the world at the level of its most fundamental constituents. Rejecting the fundamental elements of uncertainty and chance implied by quantum theory, Albert Einstein once famously declared that ‘God does not play dice’. Niels Bohr claimed that anybody who is not shocked by the theory has not understood it. The charismatic American physicist Richard Feynman went further: he claimed that nobody understands it. This is quantum theory, and this book tells its story in forty episodes — significant moments of truth or turning points in the theory’s development. From its birth in the porcelain furnaces used to study black body radiation in 1900, to the promise of stimulating new quantum phenomena to be revealed by CERN’s Large Hadron Collider over a hundred years later. This is the extraordinary story of the quantum world. 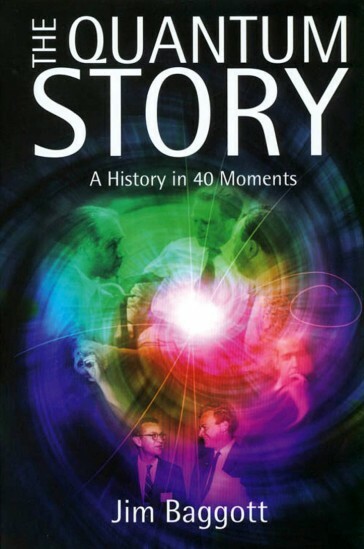 Those seeking to place the Higgs within a broader context of physical theory may prefer “The Quantum Story” by Jim Baggott, another former researcher turned science writer. The particle is the cornerstone of the “standard model”, a 40-year-old mathematical blueprint for the way elementary particles behave. Mr Baggott captures its development in 40 key moments. Baggott has a talent for elucidating scientific ideas, including some of the latest sophisticated developments. Quantum physicists and professional historians of physics will also find much novel in his presentation, though they might disagree with him in places. There is no shortage of books exploring the history and the downright weirdness of quantum mechanics so any new book on the subject needs to differentiate itself from other offerings. 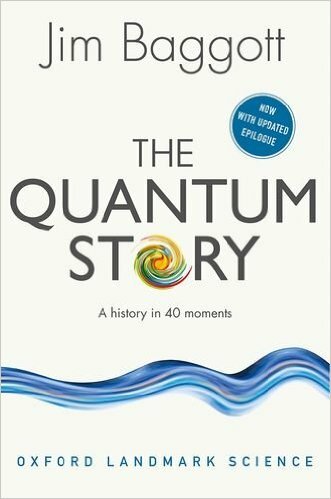 The quantum story does this by combining an engaging narrative history of key events in the development of quantum mechanics with a continuous development of ideas leading right up to the present day. In summary, this is a truly exceptional book, which I highly recommend. It will be enjoyable reading for many professional physicists as well as for bright high-school students waiting for something to trigger a decision to follow a career in physics. I have never come across a book quite like Jim Baggott’s “The Quantum Story.” He has done something that I would have thought impossible in a popular book… Mr. Baggott navigates successfully between the Scylla of mathematical rigor and the Charybdis of popular nonsense. He also manages to get the people right. I know this because for many of the scenes he describes I was there. The basic history behind the quantum revolution is well-known, but no one has ever told it in quite such a compellingly human and thematically seamless way. The history is as complex and involved as the theory itself, and Jim Baggott’s history-through-vignettes approach brings out a wealth of fascinating detail about the personalities, philosophies and rivalries that guided its course.